Here is a daily double for you! I had some kale that I purchased to use in my smoothies. It is hard to use it up quick enough before it goes bad. Thus, in came Pinterest. I LOVE salt and vinegar chips so I found a recipe on there but I didn’t have red wine vinegar (only had white.) So I made a few tweaks (story of my life when I cook/bake). Here is the recipe below. Preheat over to 350 degrees. 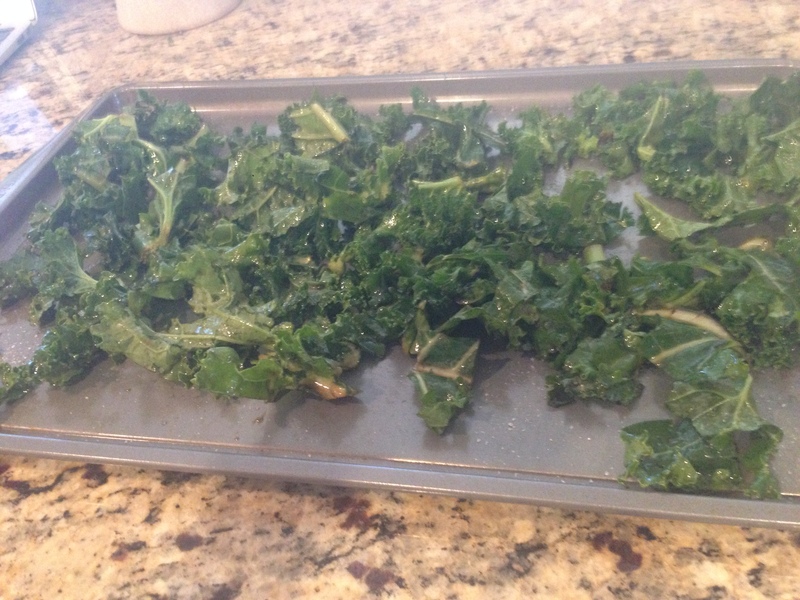 Clean and dry Kale. In a mixing bowl add oil and vinegars. Mix in Kale thoroughly. Spread out on baking sheet. Salt to taste… I LOVE sale but it does go a long way so be mindful of that!Cook for approximately 15mins (until it begins to brown). Love how it tastes! It will never replace my kettle chips but flavor is good. I think Kale taste (and smells) and little like broccoli but with a different texture but it is certainly yummy and MUCH better for my body than the kettle chips. 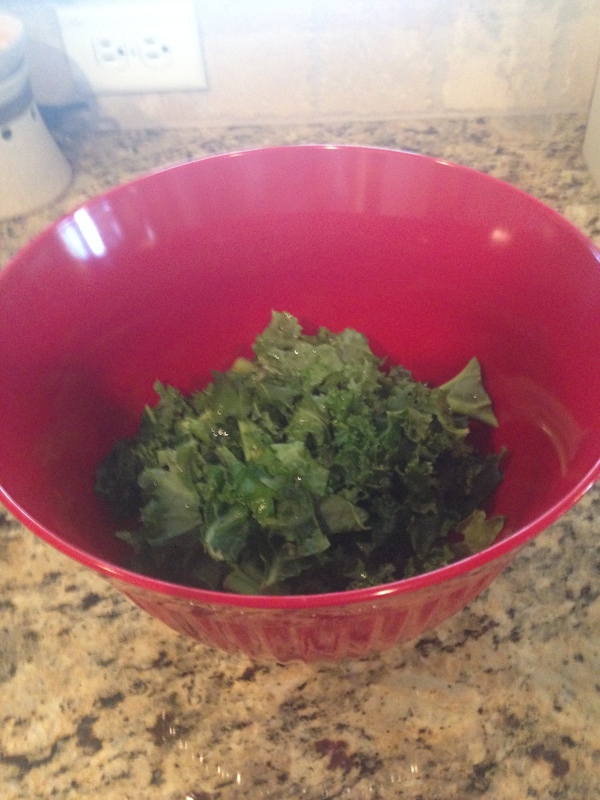 What is your favorite Kale recipe?